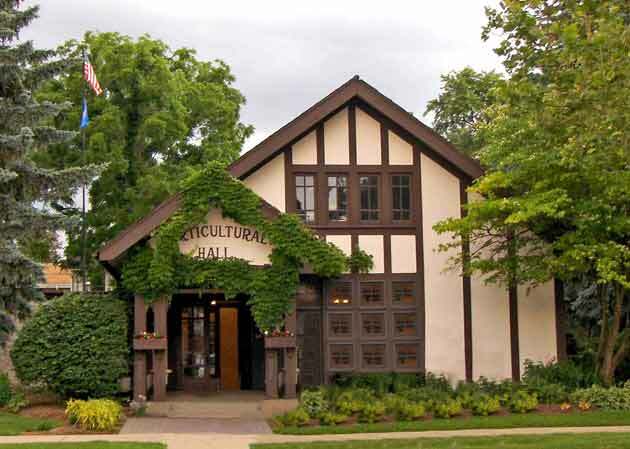 Horticultural Hall, Lake Geneva, Wis. Celebrating its centennial anniversary this year, this beautiful structure was built in 1911, but its seeds were planted in 1887. That’s when wealthy Chicago businessmen with vacation homes on Geneva Lake founded Holiday Home Camp, for disadvantaged youth. The camp operates today on its original site, 26 acres in nearby Williams Bay. Well-to-do residents recruited their gardeners and estate groundskeepers to sell fruits and vegetables to help to raise money for the camp. That group first became the Gardeners and Foremens Association, and organized formally as the Horticultural Society in 1911, when the hall was built. The flower shows, farmers markets and other events continue to benefit Holiday Camp. The Lake Geneva Garden Club, formed in 1915, provides financial support for the hall. Today, listed as a conference center, the hall still hosts farmers markets and local community events. But it’s governed by a group of volunteer trustees and board of directors as the nonprofit Geneva Area Foundation, whose mission it is to raise funds to ensure that the building and grounds are maintained and preserved. It is listed as a conference center, and is available to rent for events. Horticultural Hall is on the U.S. National Register of Historic Places. The original structure is still largely intact, designed by the architectural firm of Spencer & Powers in the bungalow/arts & crafts style. It has high, beamed cathedral ceilings and Italianate loggia, and its beautiful landscaped grounds include a beautiful flower garden. This movie house opened on Sept. 2, 1931, built by brothers Chester and Leon Goetz. It featured a scalloped Italianate facade, with red brick contrasted with white tile embellishments. 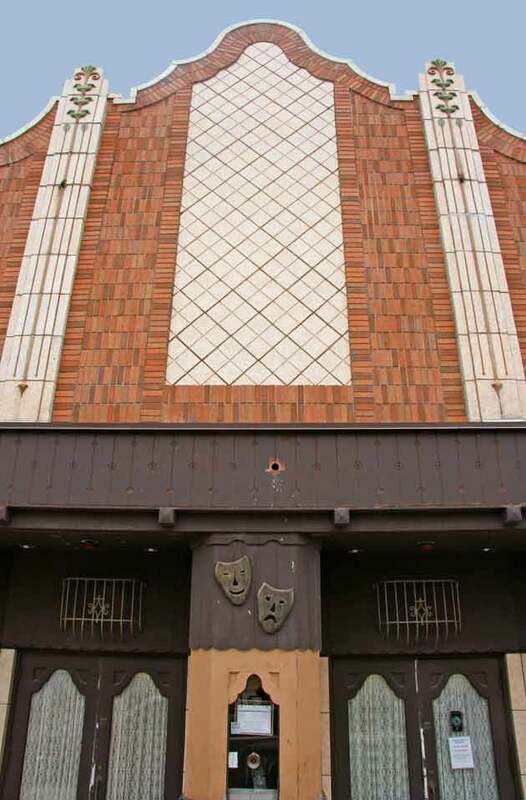 Inside, stucco walls lined the lobby, and the theater screen was framed by a decorative arch. Filmgoers watched Hollywood legends like Emil Janning, Marlene Dietrich, John Wayne, Shirley Temple and Johnny Weissmuller in glorious black and white and amazing mono sound. Before the features, they laughed at shorts starring The Three Stooges and the Our Gang kids, and enjoyed Popeye and Betty Boop cartoons, called “one-reelers” – the projectionist didn’t have to change reels. The owners renovate the structure, completely reconstructing its facade. The original 1,000 seats in the auditorium are replaced with 350 Massey rocking chair seats, and state-of-the-art digital sound and the newest in screens and projectors are installed. The theater is owned and managed by third and fourth generations Goetz’s, who also operate Goetz 2 & 3, as well as another vanishing landmark – the SkyVu Drive-In. Goetz moviegoers today thrill to Dolby Digital sound, 3-D effects and high-definition color films, run on smooth, quiet, gear-driven projectors. But it’s still a one-screen, old-fashioned movie house. Chaplin Creek Historical Village, Franklin Grove, Ill. Bearing its town’s original name from the 1830s, the village is home to the Franklin Grove Area Historical Society and the Chaplin Creek Muzzle Loaders, an area group of historic gun collectors. 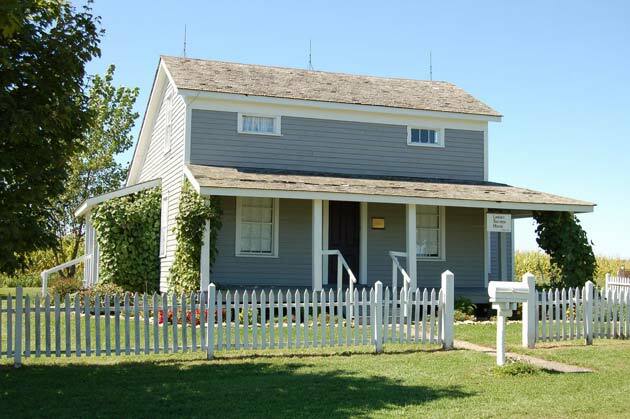 The village depicts life in the mid 1800s and is a compilation of several historical buildings in the area that have been relocated to the village, as well as some that have been constructed onsite. A blacksmith shop and schoolhouse came from nearby Ashton; a saltbox-style house came from west of Rochelle; a barn, built on the family homestead in 1855, was donated by the Scott family from Kane County in 1999. An heirloom garden has been planted. Members of the historical society built a gazebo and a settlers log cabin, and donated carriage houses and garages have been converted into a village jail and Smith & Hill Hardware Store, which operated in Franklin Grove. The village holds several events each season: a Fourth of July re-enactment of the signing of the Declaration of Independence; Summer Harvest Festival; Autumn in the Village; a fiber fair; a Wild West show. One of the most exciting is a re-enactment of the Battle of Chaplin Creek, an actual Civil War battle that took place June 25-26, 1862. 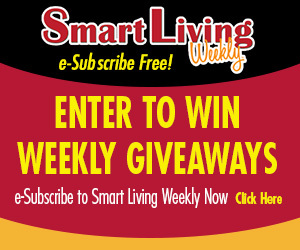 This entry was posted on Friday, July 15th, 2011 at 12:00 pm	and is filed under Genuine Northwest. You can follow any responses to this entry through the RSS 2.0 feed. Both comments and pings are currently closed.